OnRamp Communications is the only agency built to blend seamlessly with your company to deliver high market visibility and sales results. We work with B2B and high-tech companies that need to play big in order to win. Some are companies that don’t have – or want – an in-house marketing team. Others simply know they need a partner that can take them higher and farther than they can take themselves. We bring skill in all the key disciplines – branding, advertising, PR, collateral, interactive, and trade shows. What that gets you is objectivity – the strategy and tactics that are best for building your business. 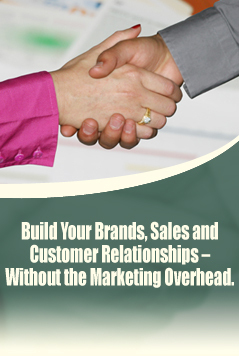 We bring you the power to speak with one voice consistently and persuasively to your customers and prospects. And our program management liberates your team to do what it does best – serve and satisfy your customers. Look us over. If who we are, what we do, and how we do it looks like the kind of marketing communications partner you’ve been searching for, let’s talk. In the meantime, imagine yourself having a team with the tools, the know-how, and the courage to help you play big – and play to win.